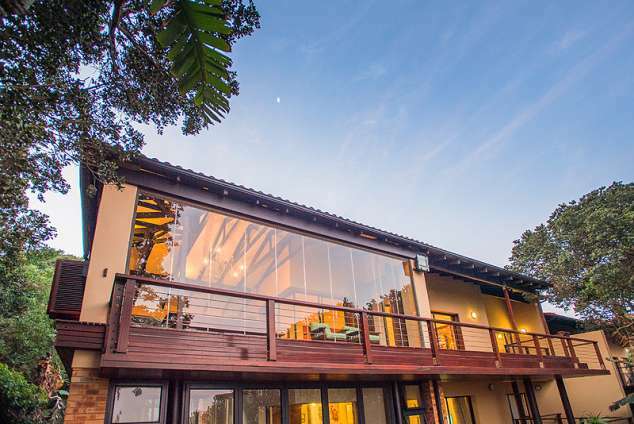 No 16 Beach Estate Zimbali Coastal Resort - Zimbali Accommodation. 1 x sitting room and dining room area. Beautiful enclosed deck and bar area with braai facility overlooking ocean. Air Conditioned in the bedrooms. Bite poolside Restaurant a unique burger bar. OSA Restaurant, A sophisticated steakhouse, complimented by an extensive collection of wines. Ayoba Restaurant with a beach-club setting showcases a wood-fired pizza oven. Ma khaza beach-club bar with a cool, casual cocktail mood. 11768 page views since 03 Feb, 2017. Last updated on 01 Feb, 2018.